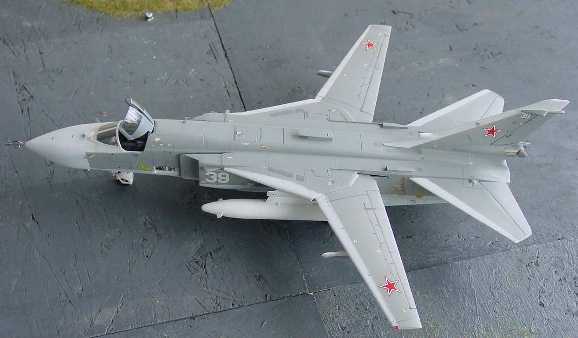 The Sukhoi Su-24 , NATO code name "Fencer", is a heavy ground attack bomber, comparable to the US F-111. It was developed in the seventies in the Soviet Union. Nowadays, lots are still in service. It has a swiveling wing with a two man crew. The Italeri 1/72 kit (No. 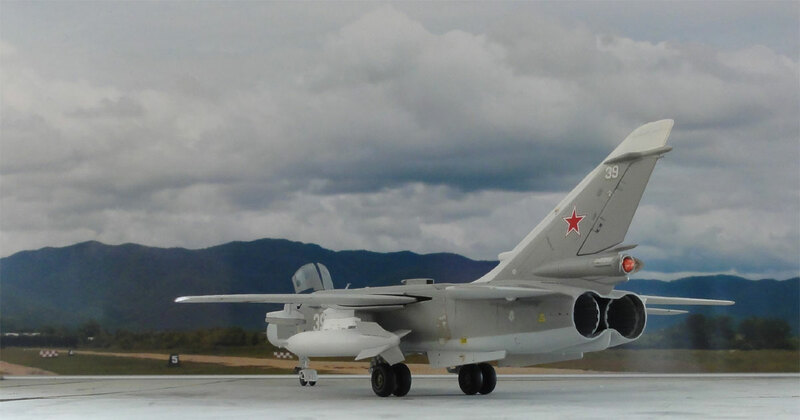 019) of the Su-24 Fencer issued around 1992 is not very accurate: its fuselage is too "fat", its nose contour is not very accurate. 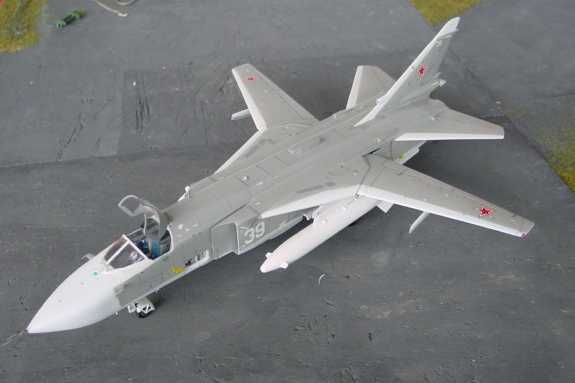 But nevertheless, when build without conversion, it is a nice kit. Dragon also re-issued this kit, which basically is the same as the Italeri kit. The cockpit was set with open canopy, the seatbelts added and an avionics bay set open. 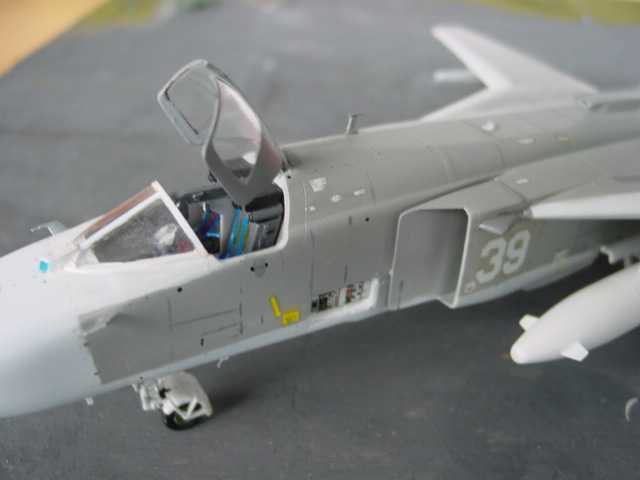 Two fueltanks were added and the rear parachute housing set open. The kit has nice recessed panellines. The main undercarriage legs need some attention, 4 mm of the legs (part C10/11) being removed. 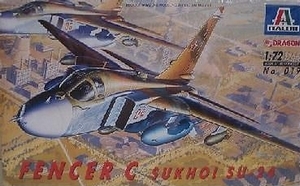 The kit was finished as a Soviet AF aircraft, no. "39" , based in the former DDR. It has a grey (Humbrol 126) /white finish with weathered panellines and white "soft" LE and antenna panels.